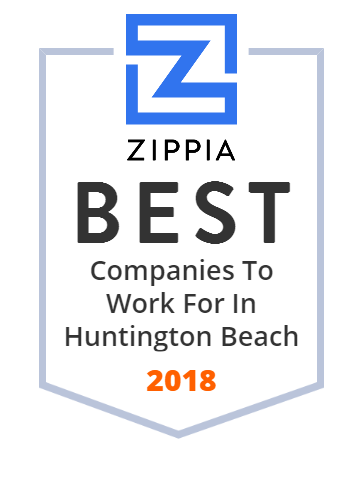 We hand-curated a list of the best companies to work for headquartered in and around Huntington Beach, CA using data on salaries, company financial health, and employee diversity. G&M Oil Company, Inc. owns and operates convenience stores and fueling stations in Southern California. The company was founded in 1969 and is based in Huntington Beach, California. It has locations in San Diego, Riverside, San Bernardino, Orange, Los Angeles, and Ventura counties. Huntington Beach High School (HBHS) is a public high school in Huntington Beach, California. Built in 1906, it is part of the Huntington Beach Union High School District. HBHS is a California Distinguished School. Huntington Beach High School is also the home of the Academy for the Performing Arts. For over 40 years, high-quality building products, reliable customer service, and expert technical support for contractors, designers, and homeowners. The Matlock Group, Inc. is a broker for independent contract computer programmer analysts. Staff Pro Inc. operates as a crowd management, event staffing, and consulting company in the United States. It offers professional personnel and managed services for various types of venues, events, convention and trade shows, and facilities. The company s event services include security services, account managers, alcohol enforcement, audience management, bike patrol, box office staff, concierge, crowd control, equipment rental, explosive detection dogs, hosts/hostesses, motor officers, parking services, red carpet/black suit staff, suite attendants, talent/VIP escorts, ticket takers, and ushers. Its convention and trade show services comprise security, access controllers, administrative assistants, badge printer clerks, bag stuffers, box office management, cashiers, coat/baggage checkers, concierge/visitor information desk, data entry, equipment rental, equipment watching, event staff/show personnel, executive protection, greeters, lead retrieval clerks, material distribution staff, on-site show management, registration personnel, room monitors, show/press office ambassadors, talent/VIP escorts, trade show consulting, translators, and uniform security services. The company s consulting services include booth/exhibitor security, communication planning, qualifying and hiring local staffing, customized credential planning, customized security planning, daily settlement/audit with vendors and contractors, designation of product storage and safe selection, establishment and maintenance of show s official security office, executive protection, liaison with local law enforcement agencies, multi-lingual consultants and managers, representation for on-site pre and post meetings, and transportation planning and coordination. Staff Pro Inc. was founded in 1987 and is based in Huntington Beach, California. As of March 27, 2014, Staff Pro Inc. operates as a subsidiary of U.S. Security Associates, Inc.